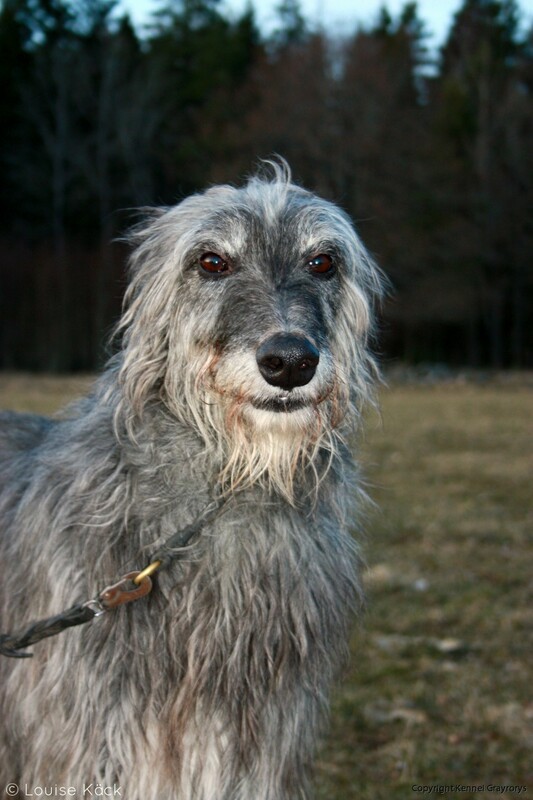 Archie was imported from Kennel Sorisdale (Mr Kenneth Cassels UK). He came to us in a huge wooden box by air in July 2005. Archie was a great Lurecoursing dog. He was placed 5th 2009 in Czech Republic and 6th in France 2010. He was Lurechampion in Sweden, Norway and Finland and also won the Nordic Championship in Finland in 2007. He also won 1 CACIL and 2 pcs R-CACIL. 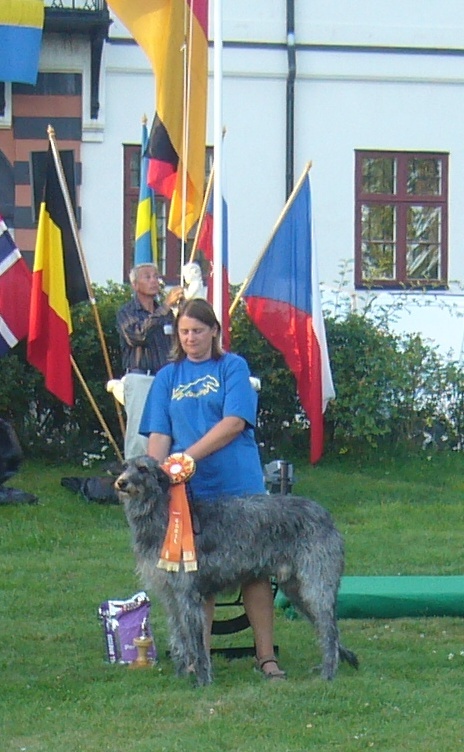 He was also a good Show dog with 2 CAC in Sweden and several CAC in Germany. Most of all he was a beloved Deerhound. He loved everyone and like to give kisses and to "hug" people or let them scratch his back. 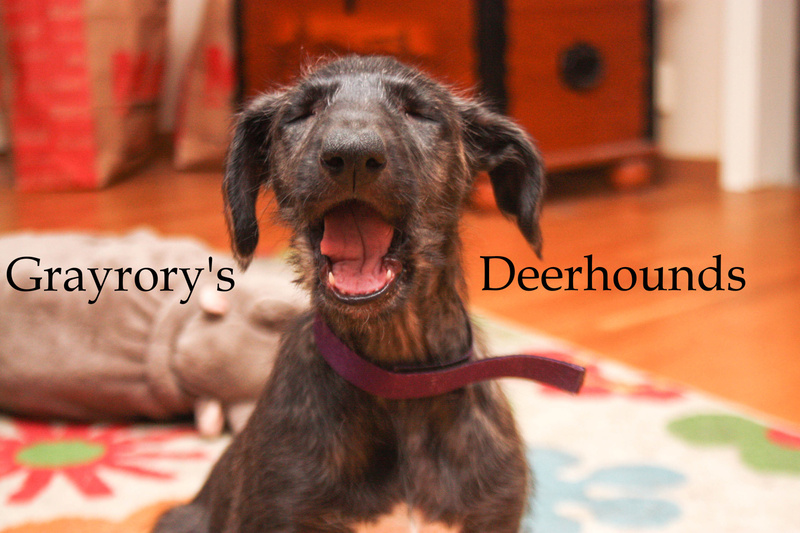 He was not like other deerhounds. 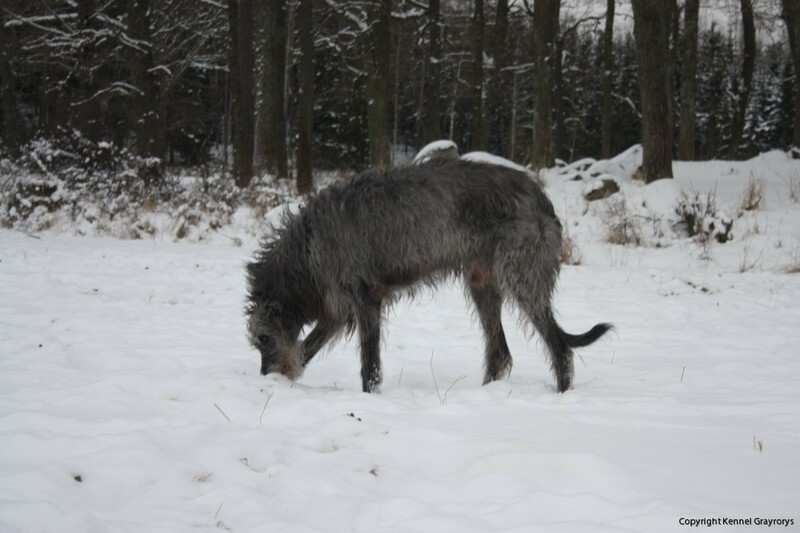 We had to put him to sleep in November 2013.